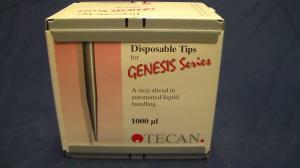 View cart “Tecan Disposable Tips 30032115 DITI 50ul Conductive, Non Filtered, Sterile. Pack of 96” has been added to your cart. Tecan 10612516. Disposable Tips, 10ul, Black, Non-filtered, Sterile, Conductive, diti tip. 96 tips/case. Genesis & Evo Series. 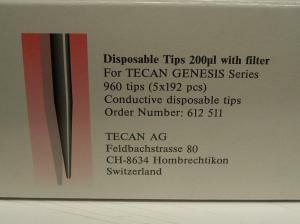 Tecan 10612513 Disposable Tips, 1000uL, Black, Conductive with Filters, Non-sterile, 192 tips. Tecan 10612513. Disposable Tips, 1000µL, Black, Conductive with Filters, Non-sterile, 192 tips/case. Genesis & Freedom Evo Series. Tecan 10612512. 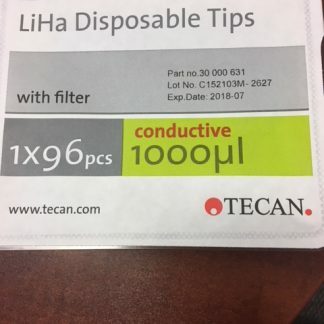 Disposable Tips, 1000µL, Black, Conductive, Non-filtered, Sterile, diti tip. 96 tips/case. Genesis & Evo series. ABI Prism 4306375. Disposable Tips, 200ul, Black, Sterile, Filtered, Conductive Diti Tip. 96 tips/case. 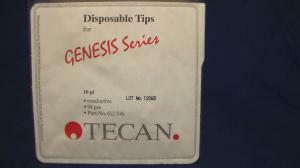 Tecan 10612510 Disposable Tips 200uL Black, Conductive, Non-filtered, Non-sterile, Diti tips 192pk. Tecan 10612510. 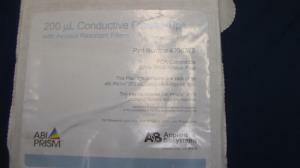 Disposable Tips, 200µL, Black, Conductive, Non-filtered, Non-sterile, Diti tip. 192 tips/case. Genesis Series.